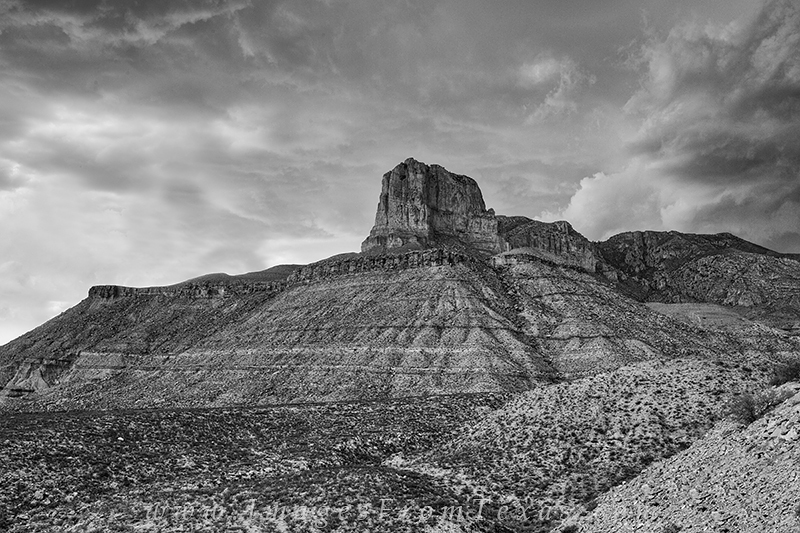 I had stood at the top of the tallest peak in Texas just hours before capturing this black and white image. The rugged peak in front of us is El Capitan, the 8th tallest summit in the Lone Star State. Just behind it sits Guadalupe Peak, the tallest. After reaching the summit of Guadalupe Peak, I had to scurry down as looming storm clouds approaced. On my way out, I stopped to capture the brooding skies over this range. Photo © copyright by Rob Greebon.